Earlier this year, TNA Wrestling pulled up stakes and left its home in Universal Orlando’s soundstages, ending the resort’s last regular television production. Now, we have word of a reversal in course, as TNA Wrestling is returning to Universal Studios Florida and will resume regular filming there in November. 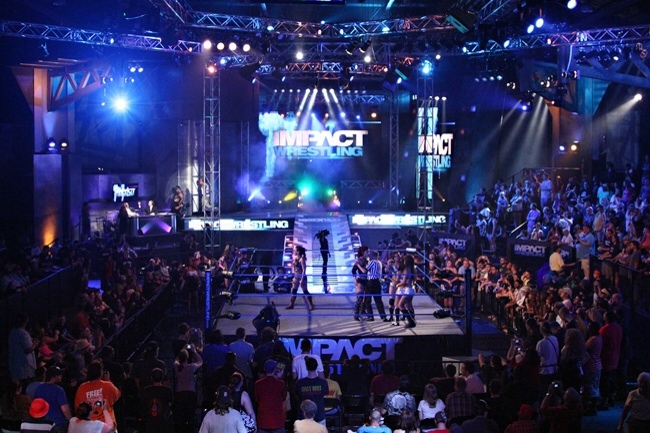 The first new episode of TNA Impact will be recorded live at Universal Orlando’s Soundstage 19 on November 21-23, 2013. In the past, guests wishing to be part of the studio audience could attend free of charge. Since production typically occurs inside the soundstages, we anticipate little to no impact on crowds or touring inside the parks on broadcast days. 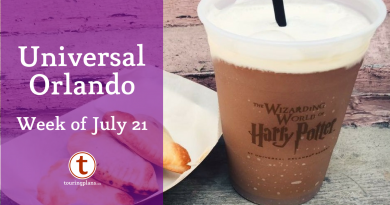 Keep an eye on Universal’s production website for information on how to attend. Along with a refreshed creative approach, several new characters will be announced in the coming months. In recent weeks, fans have already seen Ethan Carter III (EC3) and Lei’D Tapa, TNA’s newest Knockout. Universal Studios will also serve as the primary training facility for TNA talent moving forward, providing the opportunity to train and develop talent on an ongoing basis.The strength and success of TNA’s programming worldwide is at an all-time high. TNA Wrestling ratings around the world are seeing significant increases particularly in important international television markets such as the UK and Germany where the show is the number one wrestling program on television. Additionally, TNA recently inked new deals with distribution partners in Portugal and New Zealand, renewed a multi-year deal in France, and recently-launched programming in India is performing beyond expectation.